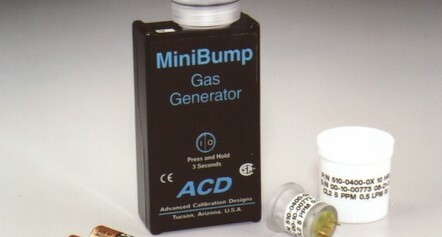 Envirosafe Ireland supply the MiniBump Calibration Gas Bump Tester (750-0401-00). Low power consumption ( two AA batteries). The MiniBump is an ultra-small calibration gas instrument specifically designed for “bump” testing chlorine, hydrogen, hydrogen cyanide and hydrogen sulfide gas sensors.